The highly rated 24-year-old was linked with the 2016-17 Premier League champions in the summer, but the sale of Mattia Caldara to rivals AC Milan ruled out a move to London. 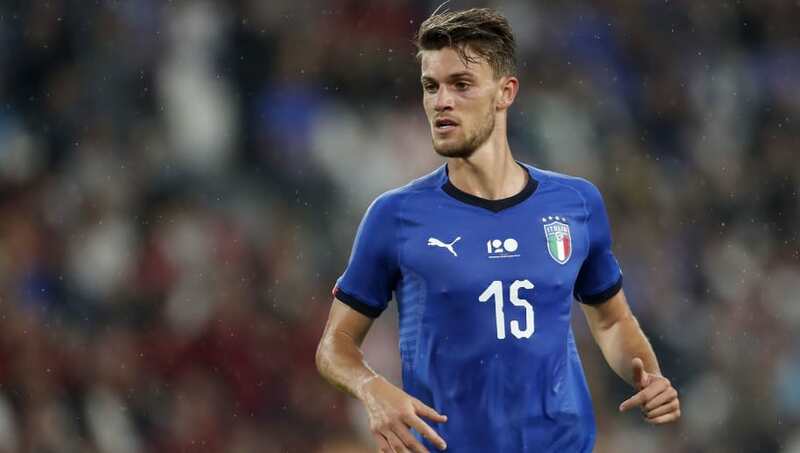 Having represented Italy at youth levels, Rugani made his senior international debut in September 2016, coming on as a substitute in a 3-1 friendly defeat to France. With speculation continuing over his future, Roma are set to be the latest club to come to the table. According to Calciomercat​o, the Serie A giants are 'planning an operation’ to bring the Italian international to Rome, who is on contract to ​Juventus until 2021. However, tensions between the two Serie A clubs have sparked following the departure of Miralem Pjanic to Roma in June 2016, and refusals by both clubs in deals for Juan Cuadrado to the Giallorossi and Kevin Strootman to the current Serie A champions. This could mean that Chelsea's chances of signing the player may be higher than those of Rome. Amid the growing interest in Rugani, Juventus' sporting director Fabio Paratici has been quick to dismiss the rumours and is reportedly set to offer the Italian a new contract until 2023 - which could be a huge blow for both clubs. Rugani spent his youth career at Empoli and helped them achieve promotion to Serie A in 2013-14, winning Serie B Footballer of the Year that season. Since then, he’s made over 50 appearances for Juventus as he battles for a first-team place alongside fellow stars Leonardo Bonucci and Medhi Benatia.